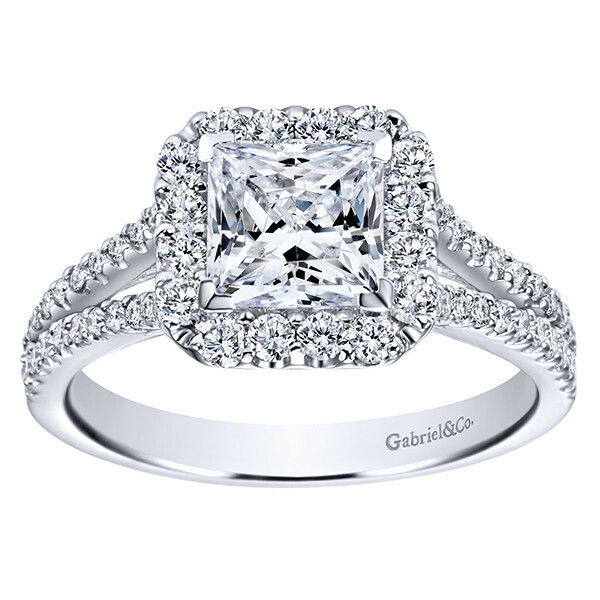 From Gabriel & Co., this gorgeous engagement ring will be received with a resounding "Yes!". The 14kt white gold mounting makes the princess cut center stone sparkle wildly, and the surrounding halo only adds to this brilliance. 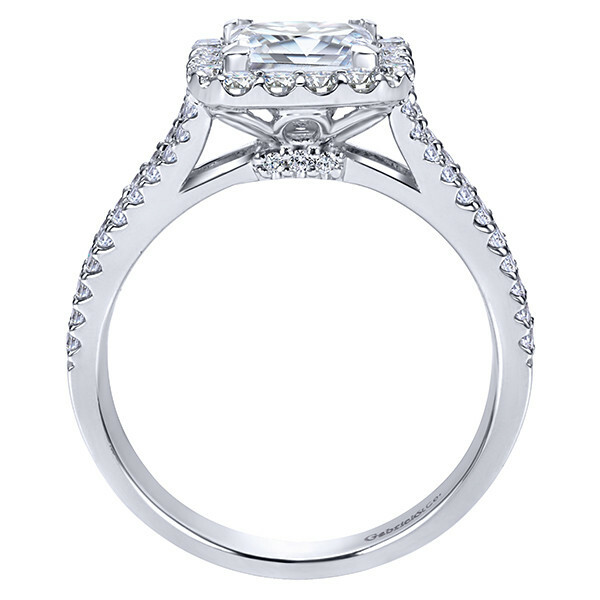 The shoulders of the split shank are generously embellished with even more white diamonds. 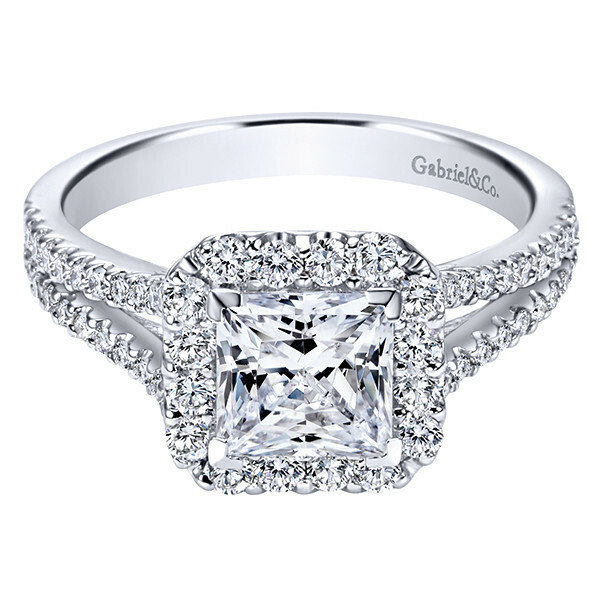 Your future bride will dazzle with beauty wearing this Gabriel & Co. engagement ring. 30 Day JR Dunn Return Policy, JR Dunn is an Authorized Jeweler. Unlike "grey-market" items, all of our jewelry is 100% Authentic, brand new and includes the full manufacturer's warranty.